We are innovative. We are driven. We are bold. Montefiore Einstein's Department of Radiology is a national leader in multidisciplinary, patient-centered imaging, education and care. We offer access to state-of-the-art technology, cutting-edge research and compassionate treatment for every patient. Our team of more than 85 board certified and nationally recognized radiologists works collaboratively in a shared mission to revolutionize healthcare. We provide services and treatment at more than 15 locations, and our team meets daily with our colleagues throughout the Montefiore Health System to develop innovative and multidisciplinary approaches to patient care. Welcome to Montefiore Radiology! The mission of this department is outstanding compassionate care, innovative research and exceptional education. We have truly outstanding faculty members who provide excellent clinical care. Our focus is patient-centered imaging, which falls in line with the medical center's goal of patient-centered care. This is the entire spectrum of care that a patient receives from points of access to the performance of their imaging procedure, reporting and follow-up care. Improved availability and expansion of services are goals in moving forward, as we promote efficiency, quality and safety across all sites. Our advanced radiology services include lung, breast and colorectal cancer screening. The department is extremely proud of its full accreditation and designation as an American College of Radiology Diagnostic Imaging Center of Excellence. Excellent research is being performed in the department. Installation of state-of-the-art equipment and development of a 3-D imaging lab are under way and will enhance our already innovative research. Collaborations with our clinical colleagues continue to be an essential part of the research success here, and we work closely with our research partners in other departments. We look forward to expanding our research focus in artificial intelligence, which will have significant impact on our field. We seek to provide the best possible educational experience for our residents and fellows. We have a committed faculty who teaches our trainees to succeed beyond their training period. We also seek to provide a continuum of support for faculty throughout the academic process of promotion and advancement and in developing the strengths of each faculty member. Faculty development and mentoring opportunities are provided, which are important in nurturing academic and clinical productivity as well as the educator’s portfolio. We are excited about the installation of state-of-the-art equipment, as we continue to strive for technologic excellence allowing the best possible patient care, novel research opportunities and the education of our residents and fellows. To schedule an appointment at any of our radiology locations, please call 866-662-9729 (866-MMC-XRAY). To prepare for your appointment, we encourage you to visit RadiologyInfo.org for valuable information about various imaging tests and procedures performed by radiologists. Our team offers a range of services and treatments to meet your various needs. We stand ready to work with your physician to assist in the diagnosis and assessment of a wide array of medical disorders. The Department of Radiology at Montefiore participates in ongoing research. Our radiology research facilities support numerous projects. Our investigators are involved in collaborative research with several clinical and basic science departments at Montefiore, and we provide support for multisite trials. Learn more about research in the Department of Radiology. 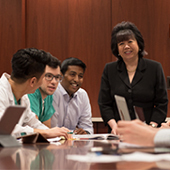 We are shaping the next generation of radiology leaders through our renowned training program. We offer unparalleled clinical education and research opportunities to medical students, residents and fellows. Learn more about educational opportunities in the Department of Radiology.